I am at a swim meet to watch my son compete. It’s a beautiful pool, with plenty of seating for the parents to watch and cheer, and the temperature inside the building is not too hot or too cold. But there’s one thing missing: there’s no public WiFi (and no cellular connectivity either). It doesn’t matter if you have the latest iPhone X or Samsung Galaxy smartphone; they’re both as useful as a small brick in here, which is actually a good thing because we should all be focused on our kids in the pool, not tapping and swiping on a screen. The bottom line is that without network connectivity, our smartphones and other devices provide limited value these days. The same is true with transportation management systems (TMS). In my experience, when companies start exploring investing in a TMS, they immediately rush to create a list of desired features and functions. 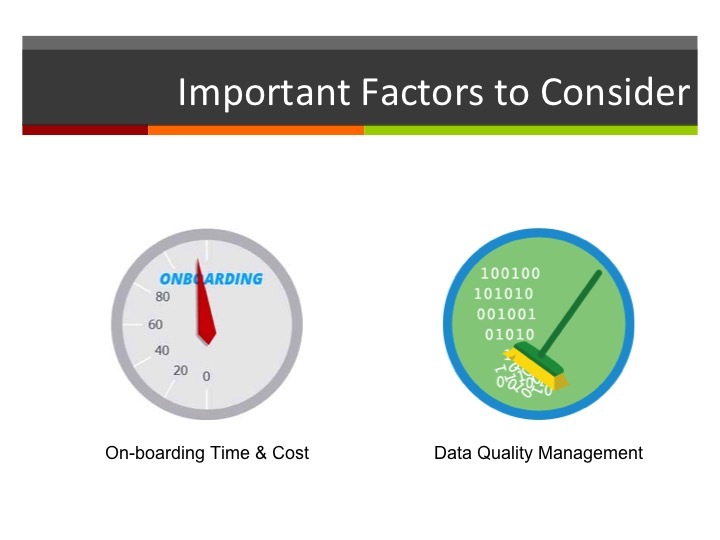 While creating such a list is important, many companies often overlook one of the most critical, labor-intensive and time-consuming aspects of a traditional TMS implementation: network connectivity and system integration. Simply put, a TMS doesn’t exist in a vacuum. It has to exchange data and information with a variety of internal systems, such as warehouse management and order management systems, and it has to communicate electronically with many external trading partners, including carriers, suppliers, and logistics service providers. And since these trading partner networks are continuously changing, establishing and maintaining connectivity with hundreds or even thousands of partners is an ongoing challenge — and cost factor. In my opening remarks, I highlighted two important metrics and factors that shippers need to consider as part of the integration process: Onboarding Time & Cost and Data Quality Management (DQM). Why has integration/connectivity been so challenging? Are the integration challenges the same for shippers and 3PLs? What are APIs and web services? Why are they getting so much attention today? 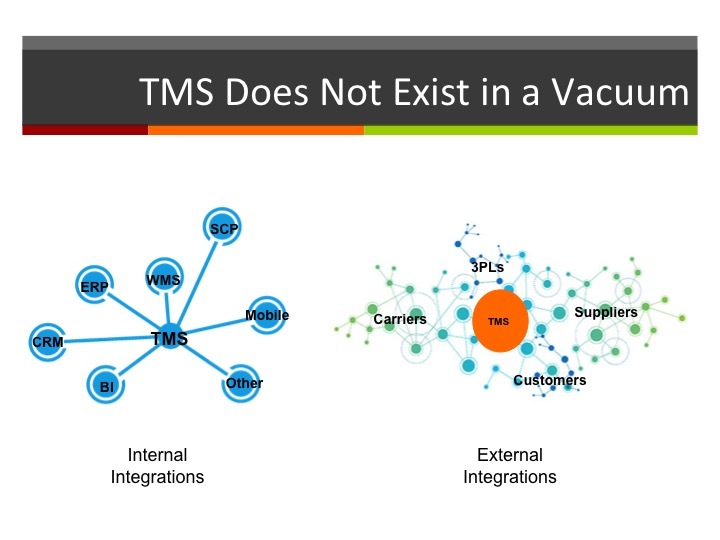 When evaluating TMS options, what questions should shippers and logistics service providers ask related to integration? What capabilities or attributes should they look for in a solution? I encourage you to watch the webcast for additional insights and advice on this topic, then post a question or comment and share your perspective!